Learning Tools Interoperability® (LTI®) versions 1.2 and 2.0 will continue to be supported and recertified. Tools that have implemented LTI 1.2 and LTI 2.0 will be directed to LTI 1.3 as the next step in their LTI evolution. 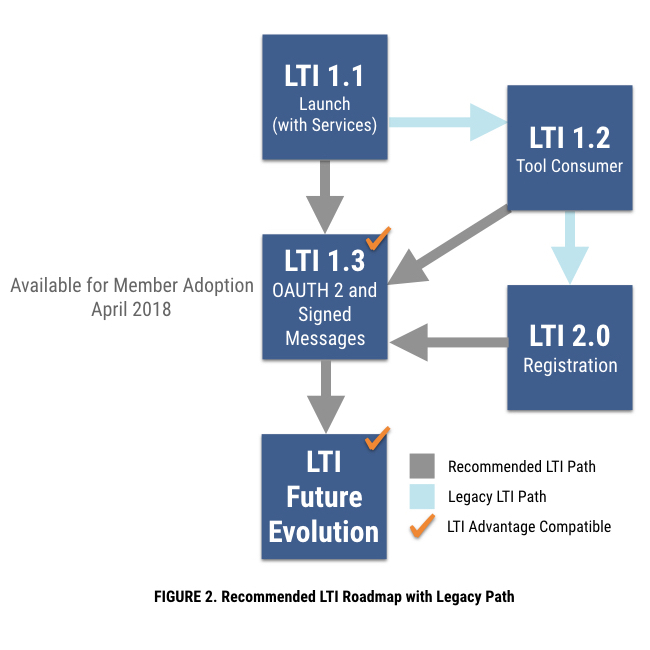 The future evolution of LTI will be based on the updated LTI 1.3 framework.